Until I set out on a geo-caching adventure (and I didn’t find a single one!) 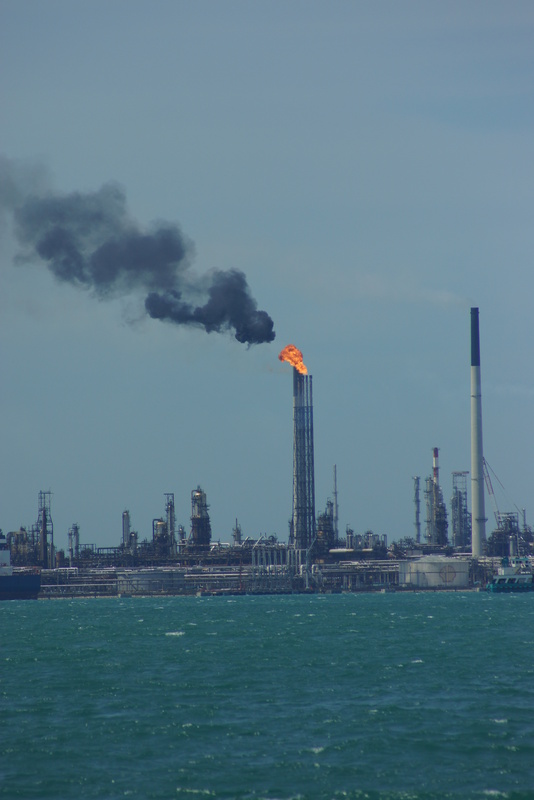 I had never heard of Labrador Nature Reserve. The Reserve is made up of two distinct sections: the park which is flat and near the water and the Nature Reserve on the hill. I’m splitting the two sections into different blog posts, so this entry is just about the park. Where I live is near to the middle of Singapore, and given the coast is all of a twenty-minute drive away I don’t often get to the edges of this island. My idea of a “long way to drive” has shrunk considerably since leaving Australia! 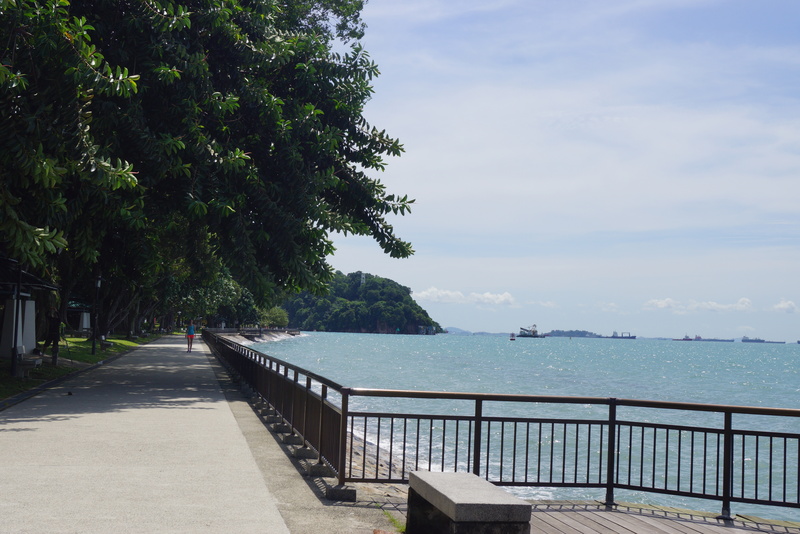 Anyway, Labrador Park is down the bottom of Singapore, just to the west of Sentosa Island for those familiar with Singapore. Without a car it’s a little tricky to get to but you can catch the MRT to Labrador Park and either walk or take a bus from there. The park is lovely: green, shaded and flat. The water is a beautiful colour and it must have been even more amazing back before the 1930s when this was a popular seaside resort with holiday houses and restaurants dotting the beach. The beach has gone and there’s now a seawall which the boardwalk runs along. There’s lots of barbecue areas (called barbecue pits here), benches and tables, and would be a really lovely area for a picnic. I think the Missies would love to scooter along here. I also felt a very welcome and slightly unusual thing: a sea-breeze! Singapore is such a built-up place that any breeze that blows gets stopped by the first line of high-rises in its path, unfortunately. 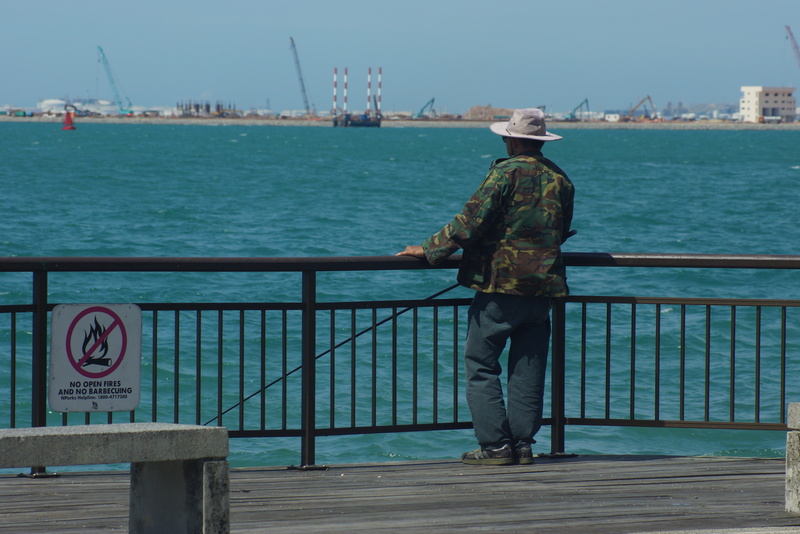 Whilst I mourn the loss of the beach, the seawall and boardwalk seem to be an excellent spot to fish from, as there were lots of fisherman about on the day I went. 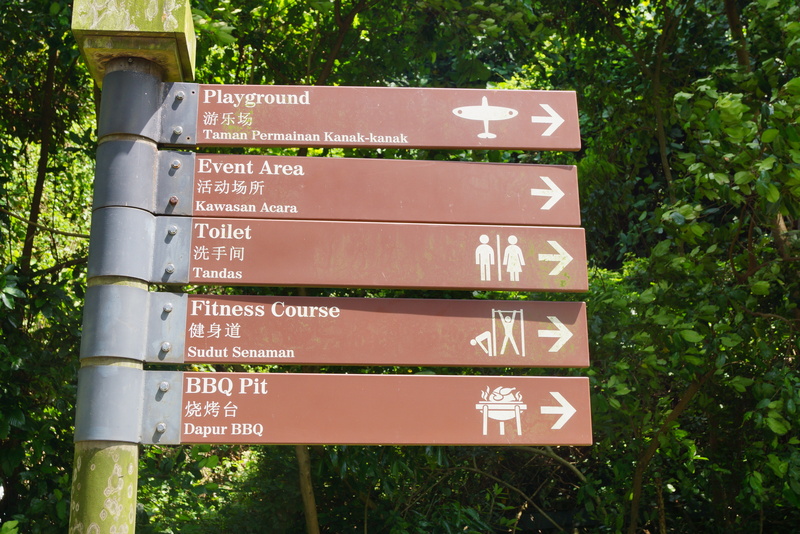 The park has all the usual things you expect to find in a park: toilet amenities, playground, paths, fitness area, jogging track, and such. I really liked the look of the unusual maze in the playground. 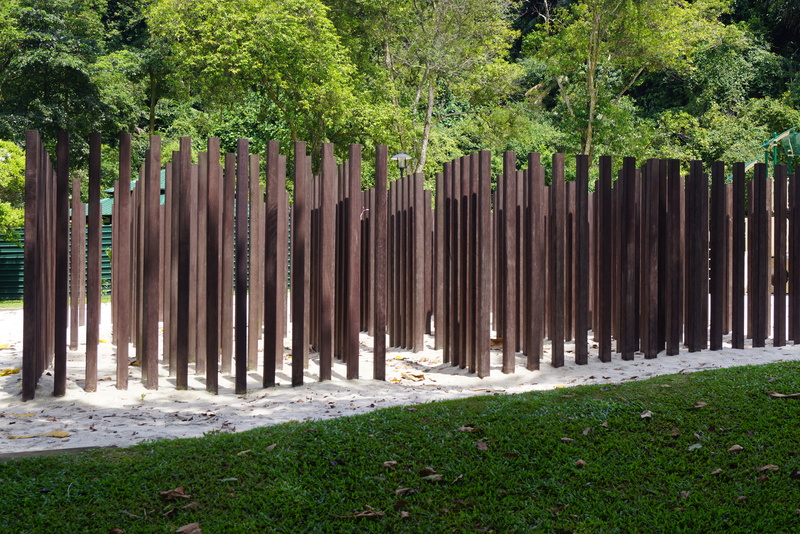 At first sight I thought it was a sculpture but then I realised it was a maze made from vertical metal poles. Very cool. 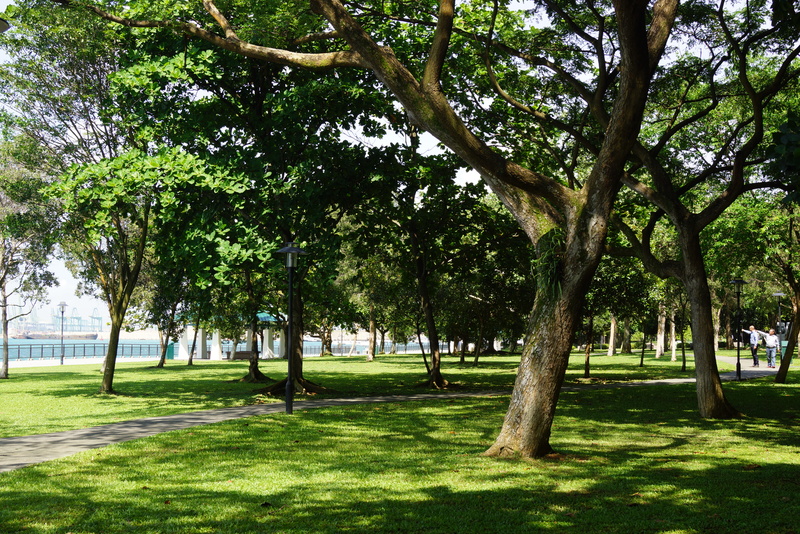 Labrador Nature Reserve is at the end of Labarador Villa Road, which runs off Pasir Panjang Road. The National Parks board has an excellent free guide to the reserve which includes a map, walking trails and travel directions. One of our favourites! It’s not that “far” for us (we’ve had the same kind of shrinkage). The hill part is our favourite, though (at least, mine) so looking forward to your next post.